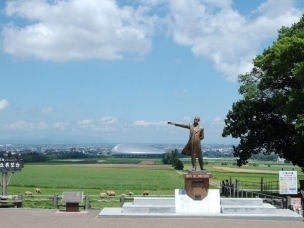 Sou Kuramoto (倉本聡)is the writer who made Furano’s town famous nationwide. 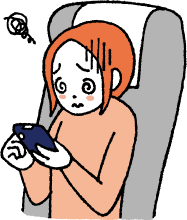 He wrote the screenplay of the popular drama “Kita no Kuni Kara,” that lasted over a period of 20 years or more. The location was mainly focused in Rokugou. Rokugou no Mori is about 40 minutes southwest of Furano Station by car. It is a mountain village where untouched nature remains. Various scenes were filmed here for the series drama that ran from 1981 to 2001. Even after the drama was discontinued, there are still three places that are popular spots: “Goro’s Stone House,” “Hirottekita ie”, and the “log cabin.” Not only fans of the “Kita no Kuni Kara” drama but also generations who do not know the drama love visiting these spots. About 200,000 tourists visit each year. Enjoy exploring around the Rokugou no Mori! 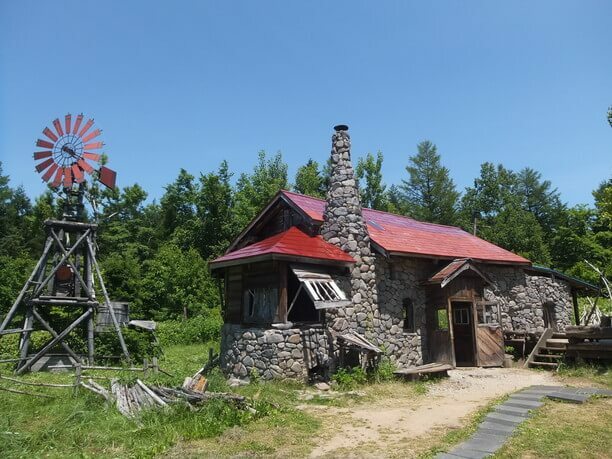 Among the buildings from the drama ” Kita no Kuni Kara, ” the “log cabin” which supposedly burned down in a fire, and the “third house” which subsequently moved, are available locations to tour. 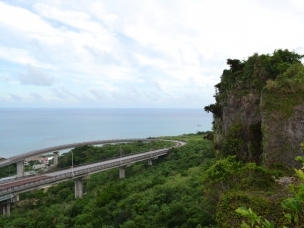 They are located in Rokugou no Mori. 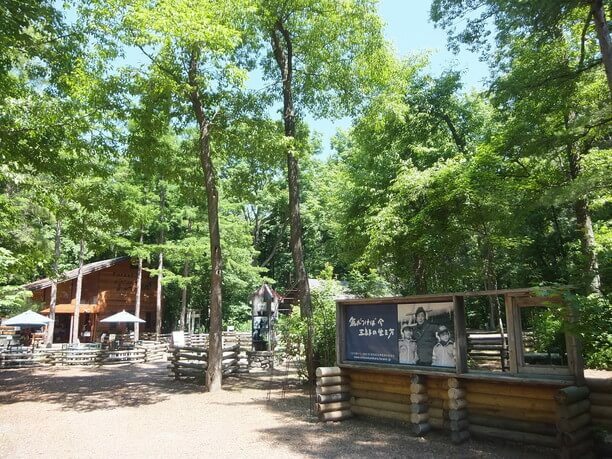 Inside the log cabin, household goods are still lined up on display, along with panels with pictures of scenes from the drama. You can also visit a handmade workshop that can produce accessories using forest trees.” There are also stores where you can eat! Very popular are the Rokugou no Mori Tonburgers” made of pork from Kamifurano. The stone house of “Goro” still exists! In the Rokugou no Mori, there is also “Goro’s Stone House” and the “First House” that appeared before the drama series. 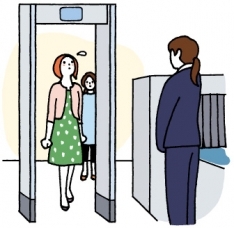 The staff of the Furano Tourist Association are permanently present at the reception area. “Goro’s stone house” was carefully constructed with cobblestone. 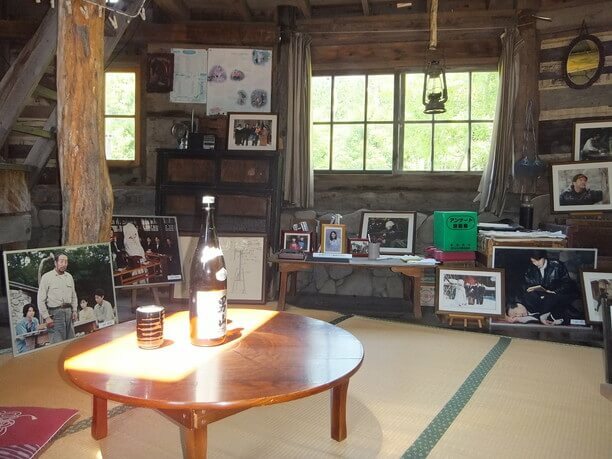 In the living room there is a bowl and a tea set, and it isn’t hard to imagine a scene from the drama like the character played by Mr. Kunie Tanaka(田中邦衛) sitting there. At the kiosk, you can eat ramen and but “Goro” popular souvenirs. There is also a house which was completed after the drama ended! The Hirottekita ie,” was built by Goro” in 2002 at the Rokugou no Mori. The house which Goro made for Yukiko has a very unique shape that combines the recycled materials of a ski resort gondola, part of the freight train container and so on. There is also a house that was built after the drama was over, and there are lots of household goods as if newlyweds are still living there. The story, ” Kita no Kuni Kara ” which made Furano famous is still an important treasure for the town. 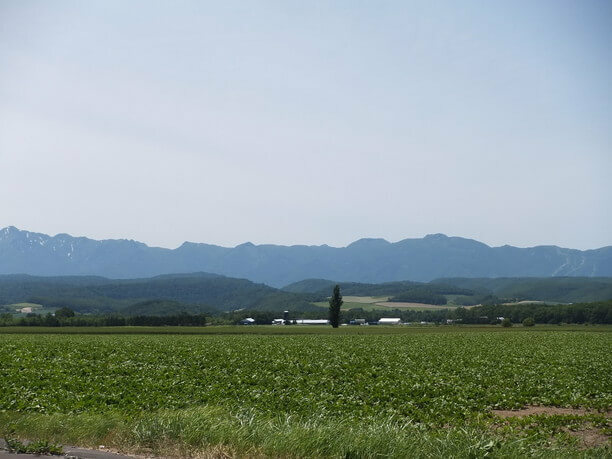 car ⇒It is 33 miles from Asahikawa Airport (1 hour 02 minutes) via Furano National Highway and National Highway 237. 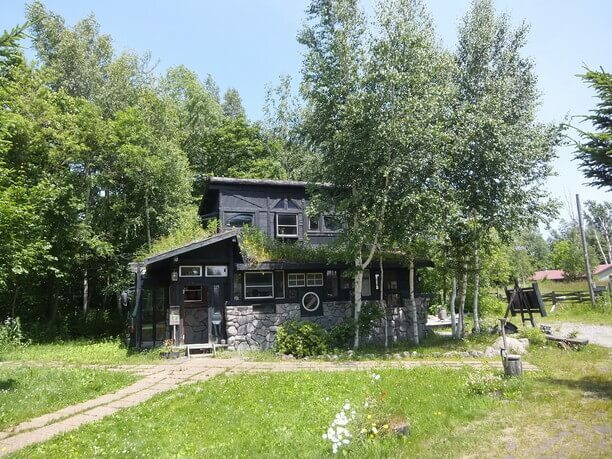 Enjoy visiting Coffee Mori no Tokei in a lovely forest space in the Furano area! Enjoy the Forest feeling of Ningle Terrace and walking around Furano / Drama Hall! The Furano ski area captures the Winter charm of Hokkaido!